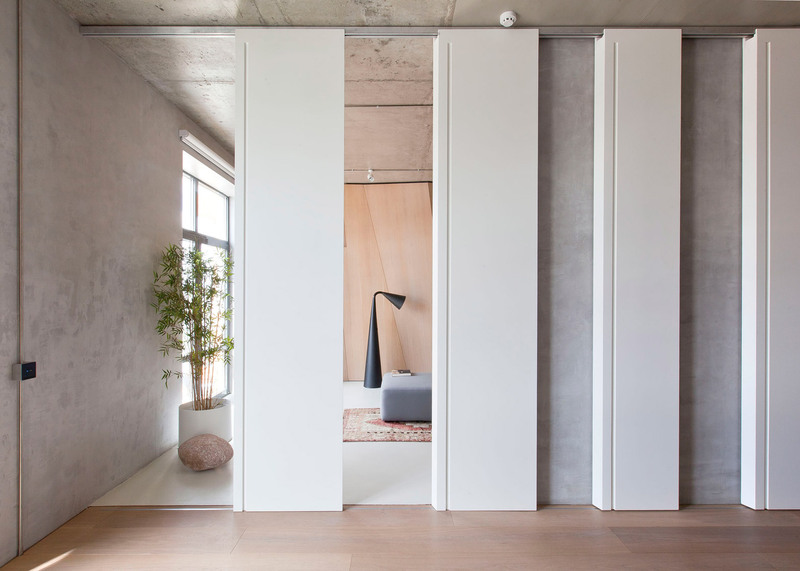 Traditional Japanese interiors and natural landscapes influenced the design of this apartment in Moscow, which was recently renovated by local studio M17 (+ slideshow). 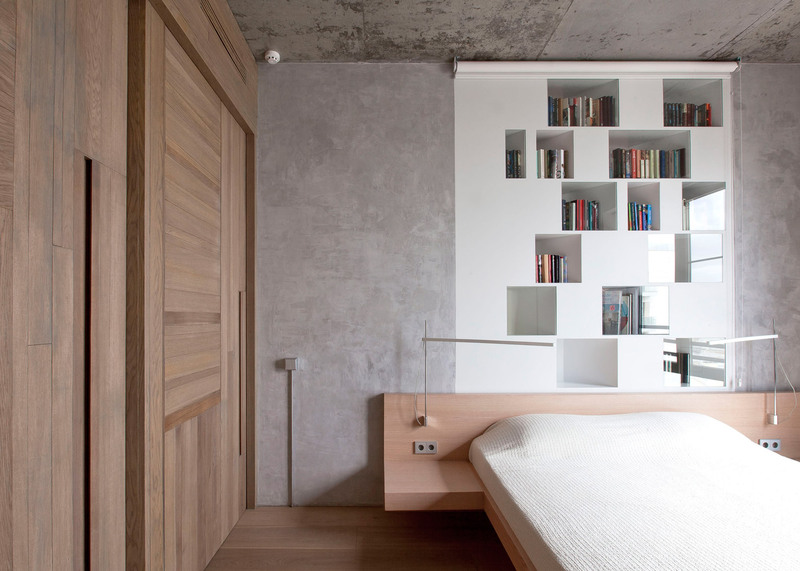 The studio – made up of architects Katerina Vinogradova and Alexander Volkov – aimed to transform the apartment into an open-plan space that would suit the owner's interests and lifestyle. They presented him with four concepts, the first being a 19-metre-long polygonal wall made of wood veneer panels that became the focal point of the final design. 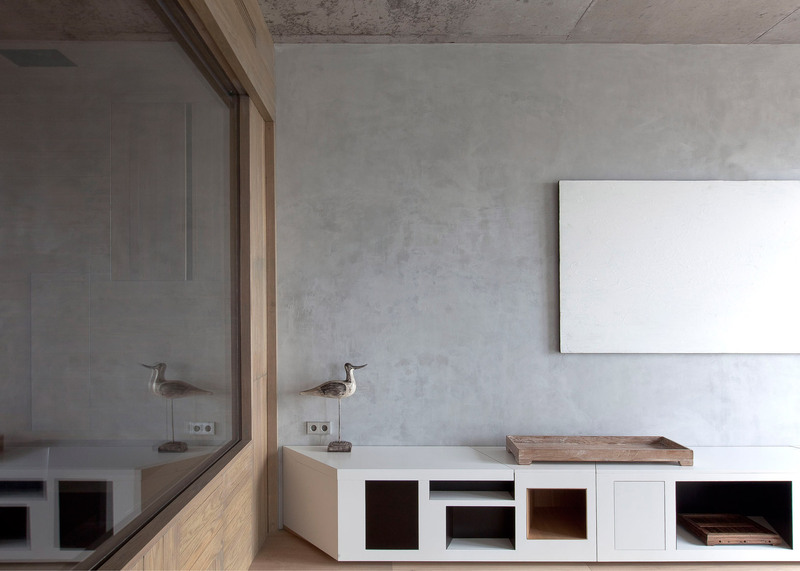 "The owner is interested in Zen Buddhism and likes traditional Japanese architecture," Volkov told Dezeen. "These particular conditions have affected the concept of the flat, but the general architectural idea is to bring natural landscape into the interior and to keep the space open." "When it came to the design, we had presented four concepts for the customer to approve – the first thing we created was the polygonal wall," he said. The wall's faceted appearance is intended to depict rough stone mountains. It runs along the entire length of the apartment, concealing the main entrance, utility rooms, kitchen and wardrobe from view. The middle section of the home functions as a large open space, accommodating a relaxation and dining area. 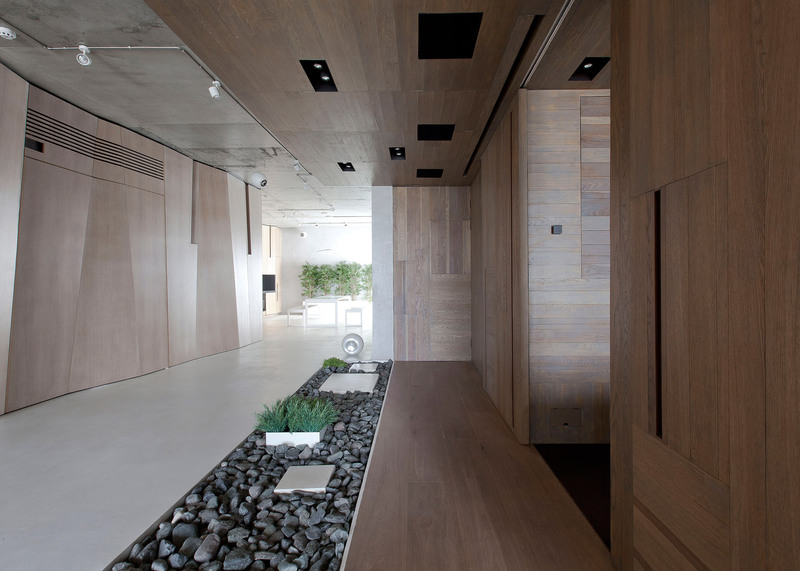 A small indoor garden separates the bedroom and bathroom from the communal area. 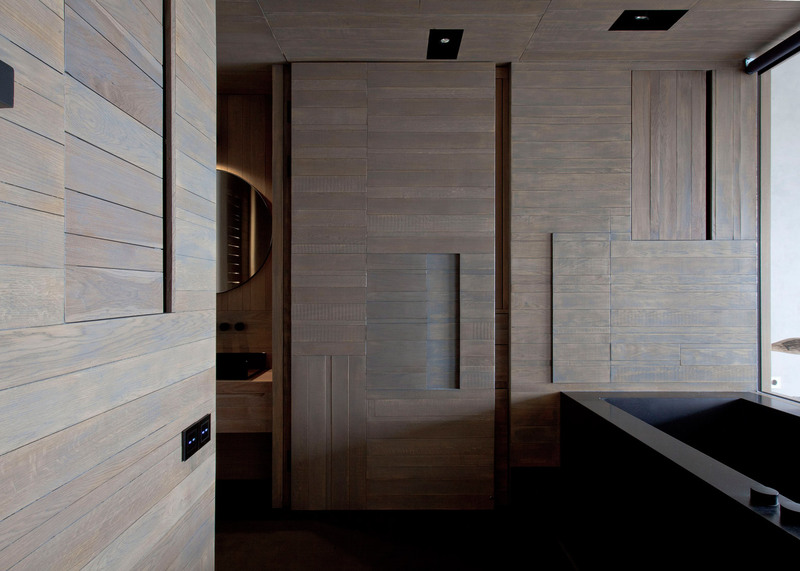 Walls inside both of these spaces were covered in wooden planks inspired by traditional Japanese housing. 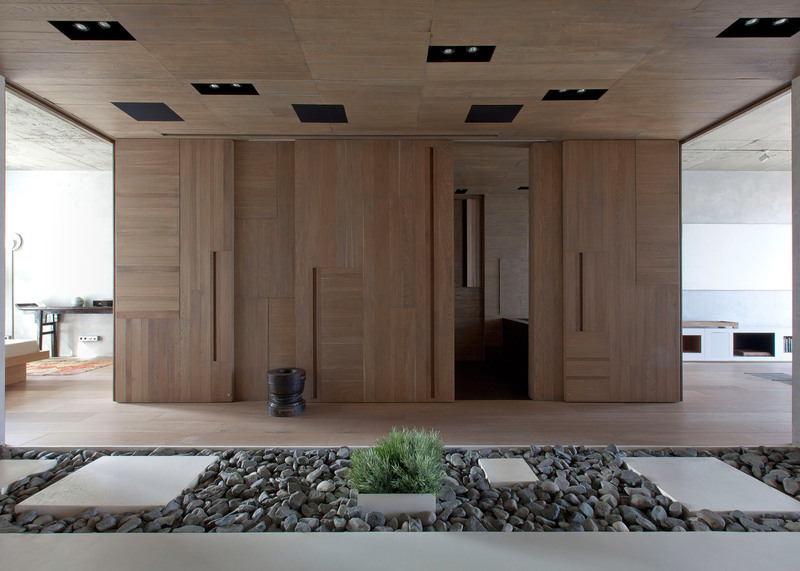 To the right of the garden, partition walls were replaced with opaque sliding panels that open up to reveal a tea ceremony room. 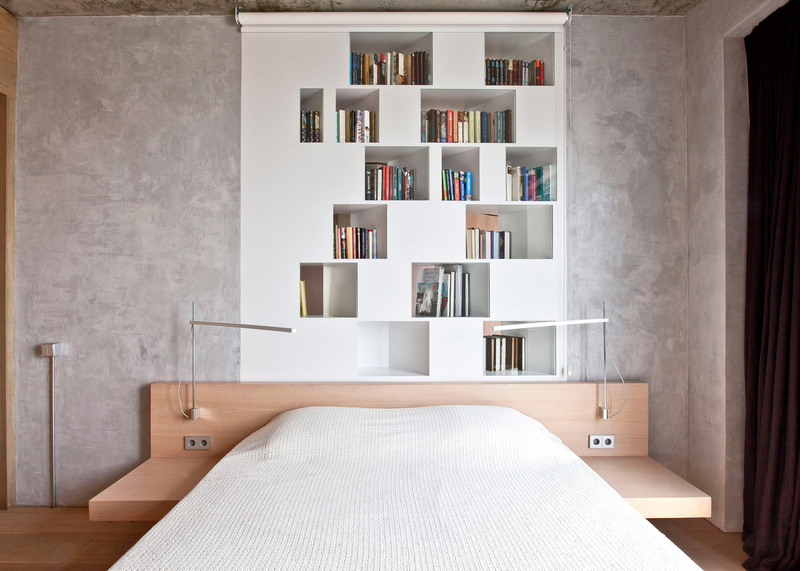 "The centre of the flat is far from the sunlight and it was difficult to plan the right purpose of this area," said Volkov. "We made up our minds and created an emotional point in the middle – this way a garden appeared." "We tried to use fewer partitions" he added. "We were meaning to avoid any closeness and to make it more spacious and open without compromising functionality." 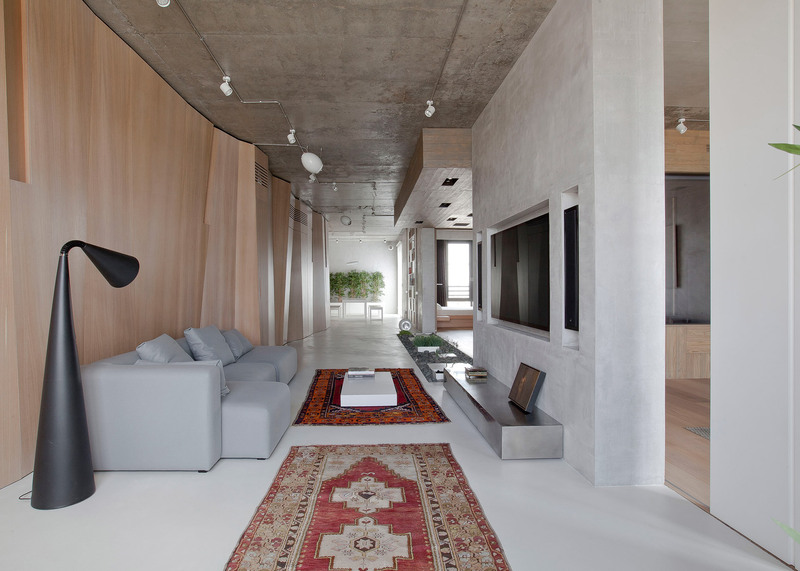 Existing concrete ceilings were kept intact throughout the apartment. 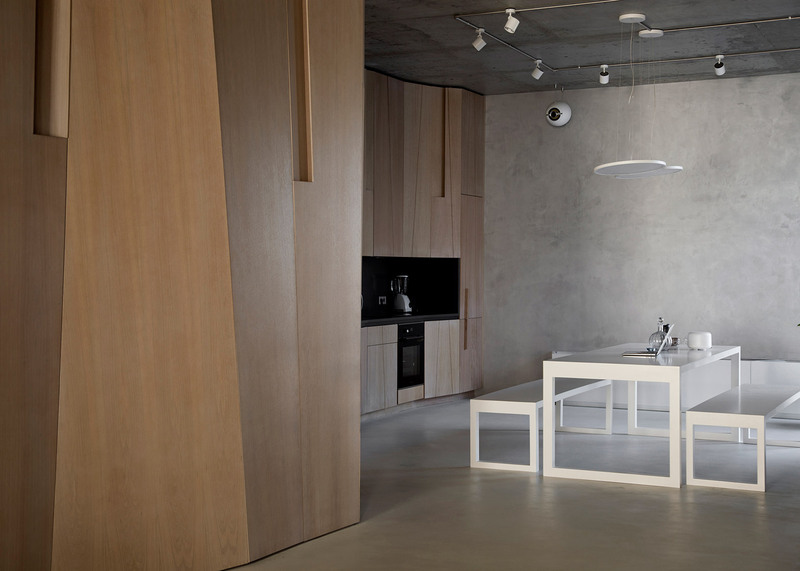 Two materials were used to cover the floor: white self-levelling concrete in the public space and natural wooden flooring in the private zones. 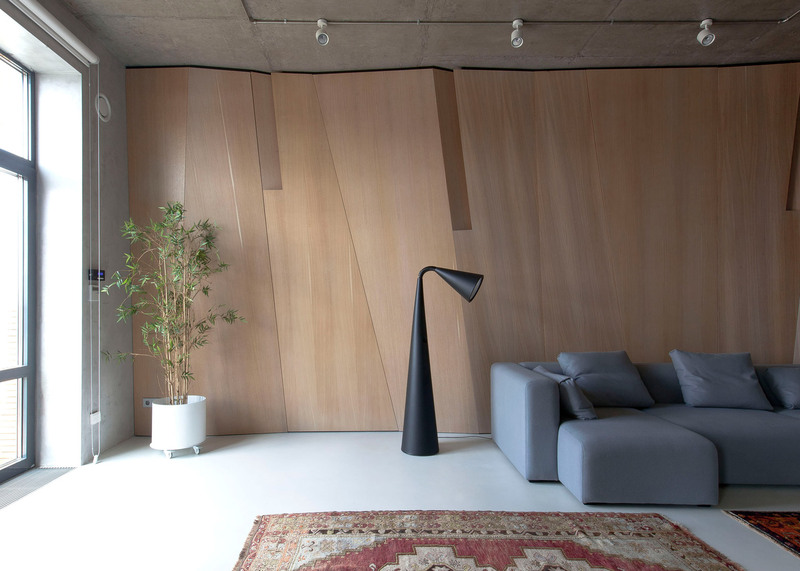 Other interesting interiors in the Russian capital include an apartment with a low curved wax ceiling, and an artist's studio with combined areas for storage, seating and sleeping.